Venture out into Brazil's hidden world of wonders! Beyond the modern sky scrapers and bustling streets, lies an untouched oasis. This journey will guide you on a voyage through the soft sand dunes and turquoise crystal lagoons, decorating the desert landscape as far as the eye can see. Begin your trip in the charming city of Sao Luis, to roam the cobblestone streets and explore the historical sites. 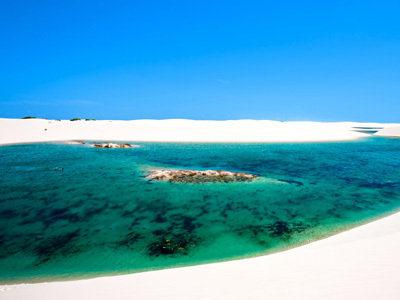 In the company of a private guide, your trek will then take off into the Lencois Maranhenses National Park. Admire the scenery and appreciate the serenity, as you continue to the Delta do Parnaiba, and ultimately, the coastal seaside of Jericoacoara. 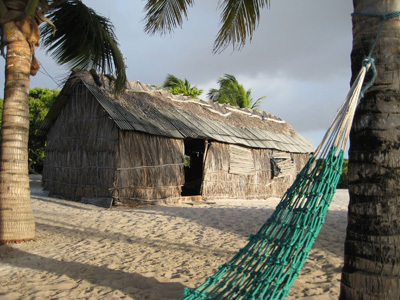 Enjoy stops at rural villages and overnight experiences in hammocks and tents en route. This may not be the most glamorous way to explore Brazil, but it sure is the authentic and memorable way! 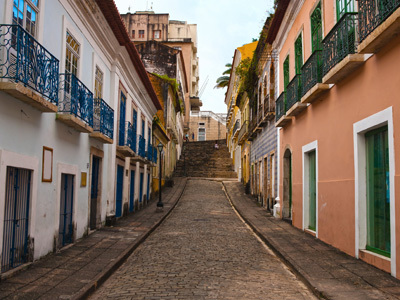 Sao Luis radiates colonial charm and simplistic beauty. This enchanting city is recognized as the capital and largest city of the Brazilian state of Maranhao. You will be captivated by the city's character as you explore the cobble stone streets of this World Heritage–listed historic center. The attractive architecture, lively cultural scene, full of museums, craft stores and galleries, is something unique for travelers to appreciate. Though some of the buildings have been restored, most are kept in their natural state of decay, maintaining a fascinating historic scene, as time stands still. Following your morning exploration of Sao Luis, it will be time to continue the journey onward to Barreirinhas. 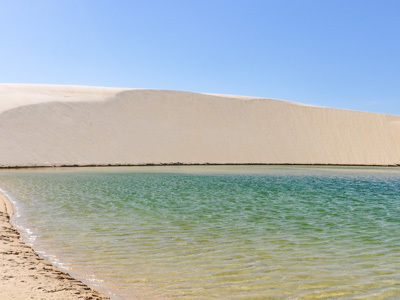 En route, you will stop for lunch, where a four-wheel vehicle will be waiting to take you to the entrance of the Lencois Maranhenses National Park. Inside the park, you will continue in your four-wheel vehicle up to the starting point of the trek. The name of this park makes reference to the immense dunes that look like a bed sheet ("lencois"), spread across the land as far as the eye can see. Located near Sao Luis, the park is divided into Grandes Lencois and Pequenos Lencois, separated by the Rio Preguicas. The zone contains beaches, mangrove swamps, lagoons and dunes, and it was officially declared a National Park in 1981. The shifting dunes of fine white sand and crystal clear blue lagoons that appear to glow under the sunshine or the moonlight, are truly a spectacular sight to see. 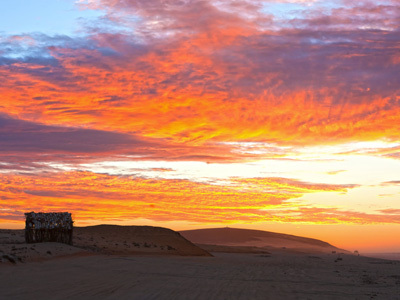 Wake up early this morning, in order to catch the impressive sunrise over the dunes. After breakfast, you will continue trekking through the park to one of the nearby towns, Baixa Grande. Here, lunch will be served and the remainder of your day is for you to enjoy exploring and getting to know the community. 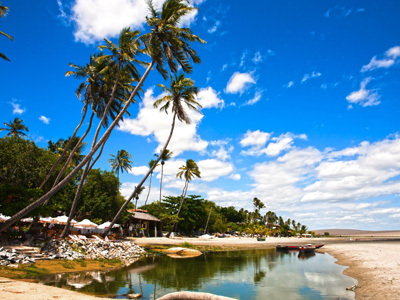 The Delta do Parnaiba is located between the Brazilian states of Piaui and Maranhao. It is the only one in the Americas and one of the world's most unique in all of the open sea. Formed by the Rio Parnaiba, which flows 1485 kms long, the Delta Parnaiba extends into five arms, branching out to 73 river islands. Its lush landscape is adorned with a stunning variety of dunes, marshes and river islands, ensuring one of the most idyllic settings of the region. 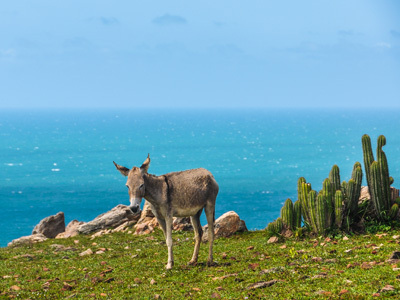 With year-round sunshine and an inviting warm environment, Jericoacoara is undoubtedly among some of the most beautiful beaches on the planet. Despite its fame around the world, the laid back pace of life in the old fishing village remains the same, as well as the sandy tropical streets and lack of electric light. An Environmental Protection Area, preserving an area of about 200 square kilometers full of golden dunes, mangroves and transparent lagoons, this village is an untouched refuge from the modernity of big cities. The cool breeze and constant winds make it one of the best spots in the country for water sports, such as rafts, kite boards and windsurfers, who all share the ocean in perfect harmony. Make the most of your time here, with a day free to explore this forgotten Northeastern town on your own. A destination where the rhythm of life changes and the unique landscape setting will dazzle you, it won't be hard to impress. In the midst of sand dunes and lush vegetation, you will have the opportunity to take part in many activities according to your interests. To name a few, there is horseback riding, yoga classes, surfing excursions or four-wheel beach drives in the nearby areas. Above all, no mater how you decide to spend today, simply soak up the peace and authenticity of this wonderland. 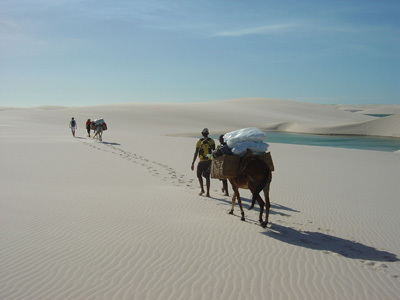 We hope this unique trekking adventure through the dunes, lagoons and deserts of Brazil exceeded all of your expectations and left you with the memories of a lifetime! 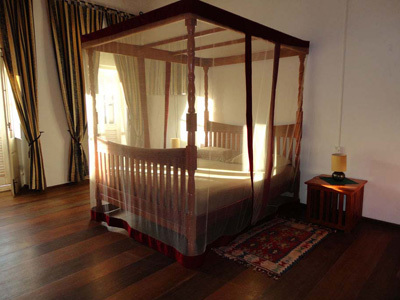 Welcome to Casa Lavinia, a beautiful mid-nineteenth century historic house available for you to spend dream holidays. Located in the center of Sao Luis do Maranhao, sited on an island in the north-east of Brazil, Casa Lavinia is a typical colonial style "Casarão" and has been declared World Heritage Site in 1997. With warm hospitality, this charming hotel will provide the perfect setting for you to immerse in the unique and magical atmosphere of Sao Luis. 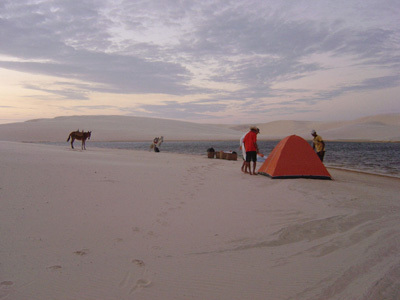 Camping in the Lencois Maranhenses National Park is truly an unforgettable experience. Fall asleep to the pure silence of the desert, as you nestle into the untouched powder sand beneath you. Awake to the sunrise emerging between the folds of dunes, causing a glistening layer of lights over the water. Camp will generally be set up next to a lagoon, at the foot of a dune, in order to protect you from the the wind. The tents can each sleep a total of four people, however two travelers may also share one tent, to make for a more comfortable and spacious night's rest. Small mattresses are also available for your convenience. 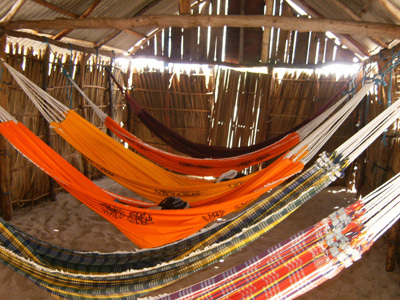 As your trek reaches Baixa Grande, you will get settled in for a unique overnight stay in hammocks. Covered by the shelter of a small fisherman's cottage, the hammocks swing just above the soft sand, making for a special and simplistic experience, that truly brings you back to the basics. If you do not think you would rest comfortably in the hammocks, you may alternatively choose to sleep in a tent here in Baixa Grande, instead. 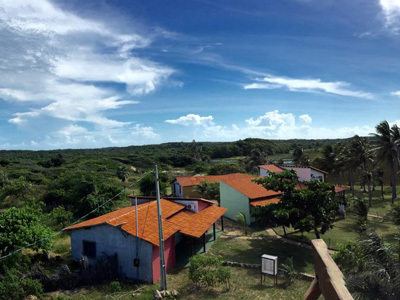 Rancho do Buna will be an absolutely fulfilling experience for all of your senses. From hearing the birds in the trees each morning, to tasting the delicious array of cuisines at breakfast, you are sure to be satisfied during your trip. 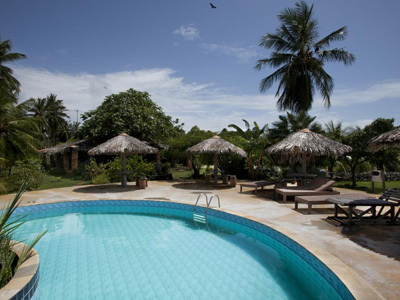 Located near to the beach and having a pool on site, there will always be a place to cool off and relax. Whether you are traveling by yourself, or alongside your family, the personable staff will make sure to keep you comfortable and provide you with a welcoming and exceptional stay. Sitting on the edge of the Barra do Rio Parnaiba river, Casa do Caboclo is surrounded with lush vegetation, fauna amd wildlife. The hotel provides comfortable accommodation with free Wi-Fi, private bath and inviting shared area. Surrounded by beauty, it is the perfect option for familiar amenities and warm hospitality. 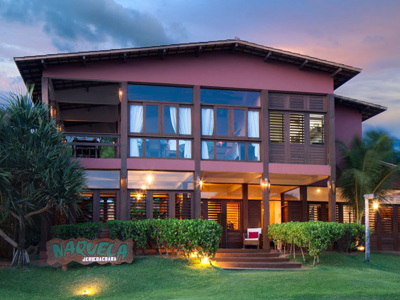 Naquela Jericoacoara offers a tranquil setting just a few steps from Praia da Malhada Beach, 1,500 feet from Main Beach and 650 feet from Jericoacoara Square. It features swimming pools, a small creek and a zen atmosphere. The property is centered around a creek, which goes along all the garden area, just in front of each room.